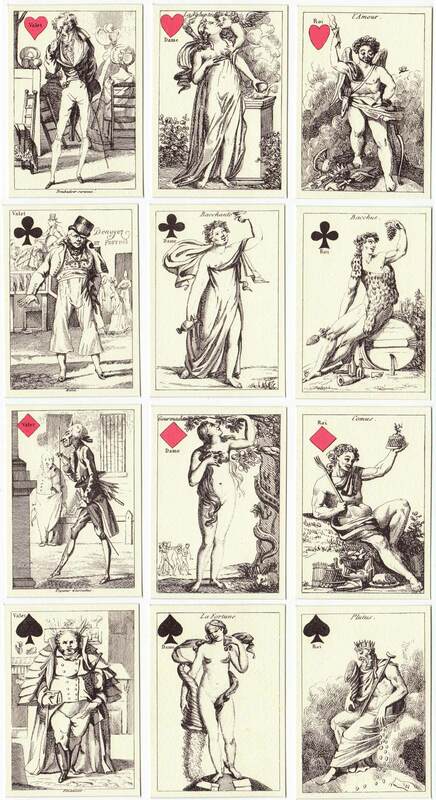 Cartes Recréatives is a set of 32 Transformed playing cards, plus a title card (right→), designed by Armand-Gustave Houbigant (1790-1863) and first published by Terquem et May, Metz, in 1819. At least seven packs are now known to have survived, all with slight differences, suggesting that several alternative transformations may have been produced by the artist whilst the entire set was being created. 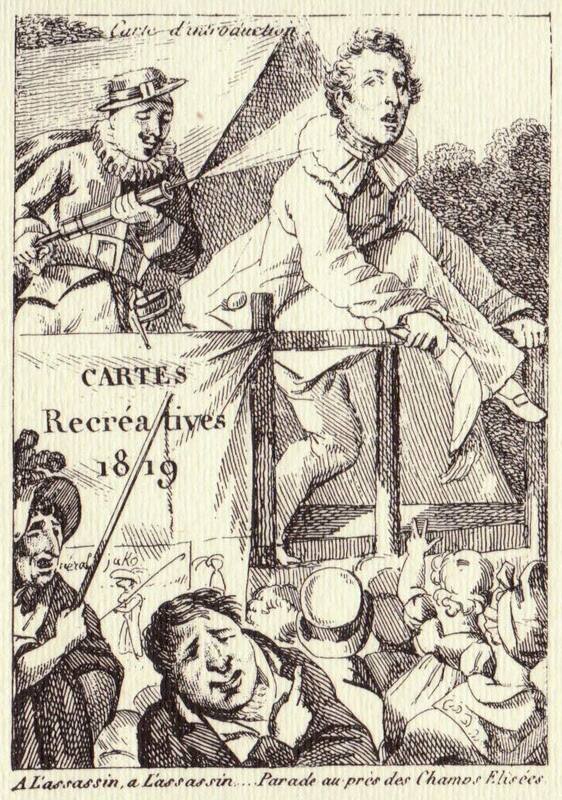 The practice of transforming ordinary playing cards into caricatures or everyday scenes was a fashionable recreation pastime in those days and a challenge of artistic imagination. Above: the kings and queens, according to the artist, are named allegories of gods and goddesses which govern our pleasures, that fit well with the twenty transformed numeral cards, whilst the valets are suitable attendants. All images courtesy Rex Pitts.